Saralee Evans is a retired Justice of the New York State Supreme Court. 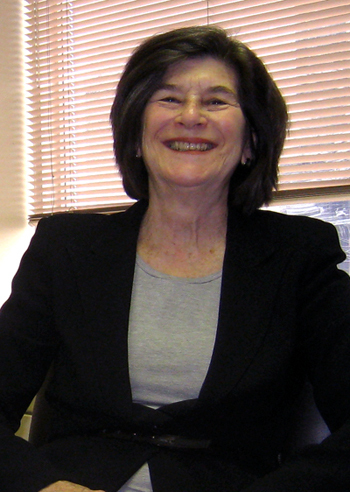 She was elected to the Civil Court of the City of New York in 1993 and served on the Civil and Supreme Courts for the next eighteen years, presiding over a broad range of cases including matrimonial, contract, tort, property, labor law and litigation brought against the City of New York. Her final seven years as a judge were devoted exclusively to matrimonial law; Ms. Evans stepped down from the bench on December 31, 2011. In February 2012, Saralee became a founding partner in the firm of Siegel Teitelbaum & Evans, LLP where she practices matrimonial law. Although in her practice Ms. Evans emphasizes alternative dispute resolution, including mediation and arbitration, she also litigates appropriate divorce and custody cases. While sitting in the Matrimonial Part of the Supreme Court, where she presided over many hundreds of cases, Ms. Evans observed that some cases can be resolved more expeditiously and with less acrimony than the litigation process entails. Under these circumstances, alternatives to litigation lessen the often times negative impact of divorce on the litigants and their children. In furtherance of her interest in alternative dispute resolution, Saralee has completed training in divorce mediation. Prior to her election to the Civil Court, Saralee worked in the public interest sector. She was a staff attorney for the Queens Legal Services Corporation for seven years where her practice consisted of representing indigent people who faced difficulty with housing, employment, discrimination, immigration, and family issues. Through her work at Legal Services, Saralee successfully represented applicants for political asylum in the United States. Without her legal assistance, many of the applicants would have been force to return to countries, such as Haiti, Iraq, Iran and Poland, where they faced imminent danger from hostile governments. Later, Sarelee was made the Director of the West Side SRO Law Project. Through her work at the Law Project, she represented individual SRO tenants who faced certain eviction. She also litigated issues of law that affected the general SRO population in New York City. It was a rewarding position that enabled her to assist vulnerable people in their times of greatest stress. Saralee left the Law Project to serve as the Assistance Commissioner for affirmative litigation at New York City’s Department of Housing Preservation and Development, after which she was elected to the Civil Court bench. Ms. Evans is a member of the Matrimonial Committee of the Association of the Bar of the City of New York. She has previously served on the Bar Association’s Civil Rights and Housing Court Committees. She was an adjunct professor at CUNY Law School and has participated in Continuing Legal Education programs at the New York State Bar Association, the New York County Bar Association and the Association of the Bar of the City of New York. Ms. Evans served as the Legal Co-chair or the Interdisciplinary Forum on Mental Health and Family Law; she serves on the Advisory Council of FamilyKind, an organization dedicated to helping children, parents and couples cope with separation and divorce.